One of the fastest and easiest ways to achieve a more attractive smile is with teeth whitening. Although there are a wide variety of over-the-counter products available, nothing works as well as teeth whitening products provided by your dentist. Dr. Brawner and his staff offer take-home teeth whitening kits to their patients from throughout the Austin, TX, area. 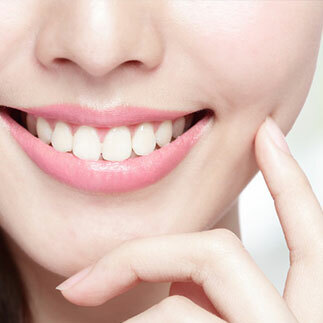 Whitening your teeth may seem somewhat frivolous to some people, but the fact is that numerous studies conducted over the past several years have shown that having an attractive smile can actually boost your self-esteem and self-confidence. Not only that, but studies have shown that other people view people with beautiful smiles in a more positive light than those with less attractive smiles. So it only makes sense that you would want to do what you can to improve the appearance of your own smile. Teeth whitening is an easy, relatively inexpensive way to do just that. When it comes to whitening your teeth, you get what you pay for. Although over-the-counter products are definitely less expensive than professional teeth whitening kits, they’re also much less effective. There are two reasons why: 1) Dr. Brawner and his staff will create a custom-made tray for you to use with your whitening product, which allows the bleaching agent to much more effectively come into contact with all of your teeth, and 2) the whitening agent used in the kits supplied by Arbor Oaks Dental is much stronger than over-the-counter products. It’s important to remember that whitening may cause some temporary discomfort if your teeth are sensitive to hot and cold, and that even professional whitening products won’t work on dental material used in crowns, fillings, dental bridges, etc. For more information about the teeth whitening products, or to schedule an appointment with Dr. Brawner, contact our Austin, TX, office today.